Earlier this week it was officially announced in a hilarious April Fools' Day video that Deadpool will in fact be rated-R, and everyone was just completely thrilled. In case you missed it, make sure to check it out here! 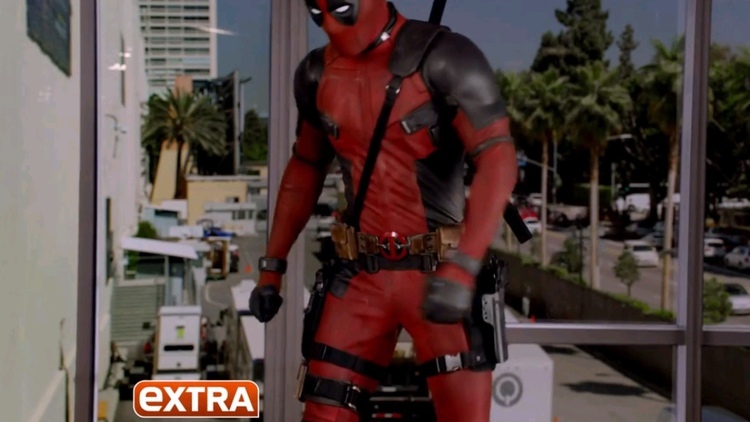 It's one of those videos that you won't want to miss because Deadpool smashes Mario Lopez over the head with a freakin' chair and kills him. The movie is currently shooting, and thanks to Just Jared (via: Imgur) we have a collection of photos from the set giving us our first look at Ryan Reynolds as Wade Wilson. As you can see, he's sporting a pretty messed up looking face, which is appropriate for the character. The photos also give us out first look at Morena Baccarin in the film as Vanessa Carlysle, a.k.a. Copycat. The movie is set to be released on February 12th, 2016.